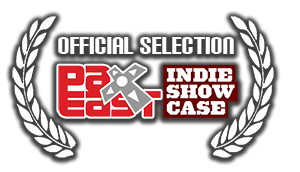 Official Selection, 2013 PAX East Indie Showcase. 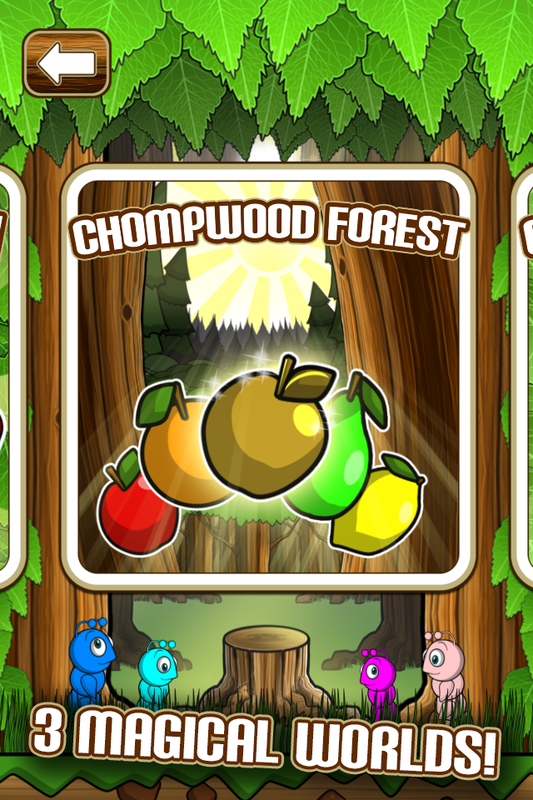 The Chompwood Kingdom is loaded with fruit, but it's going to take a daring caterpillar named LITTLE CHOMP to get it! 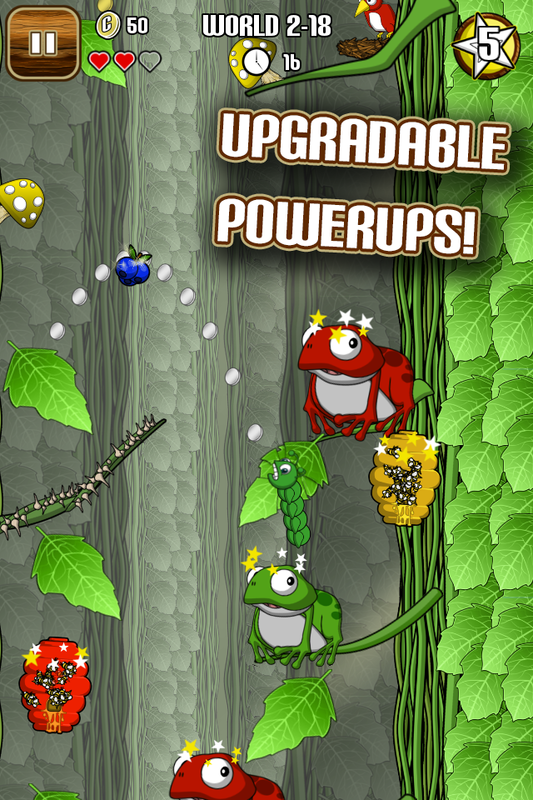 One part classic platformer, one part physics puzzler, Little Chomp challenges you to brave three unique worlds in a quest to chomp the tastiest fruit and collect the rarest butterflies. 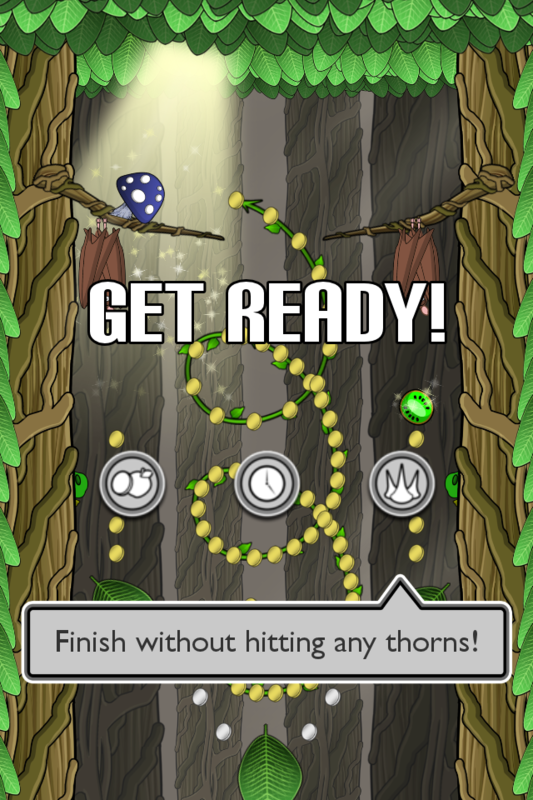 Take aim, fling from leaf to leaf, spring off mushrooms, collect all the loot and solve every challenge, all while dodging dangerous enemies in this fast-paced touchscreen climber! 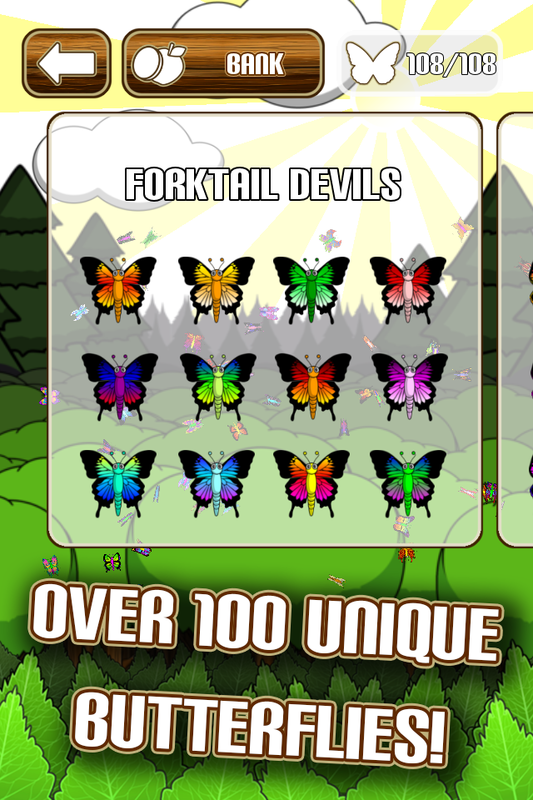 Over 100 unique butterflies to create by feeding the hungry caterpillars of Chompwood Kingdom! 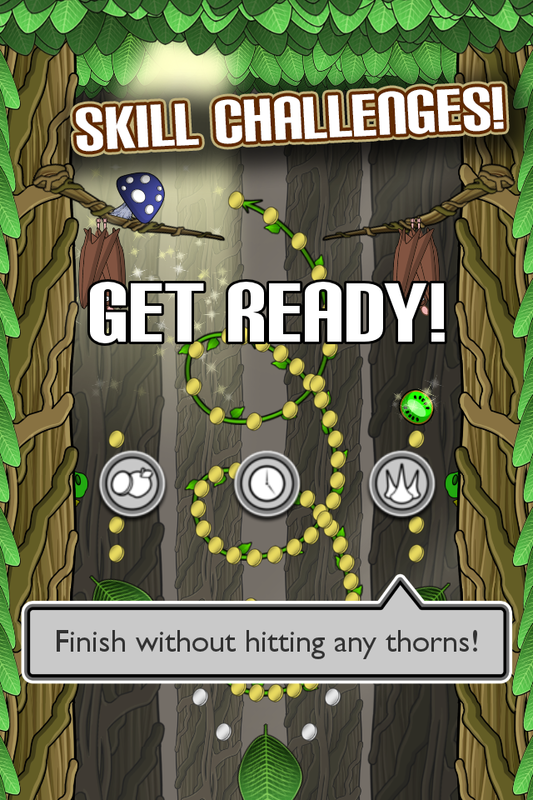 Three skill challenges on every level to unlock extra fruit and bragging rights! 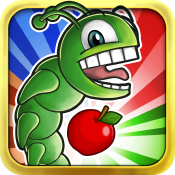 Apple GameCenter leaderboards, Amazon GameCircle leaderboards, over 40 achievements! 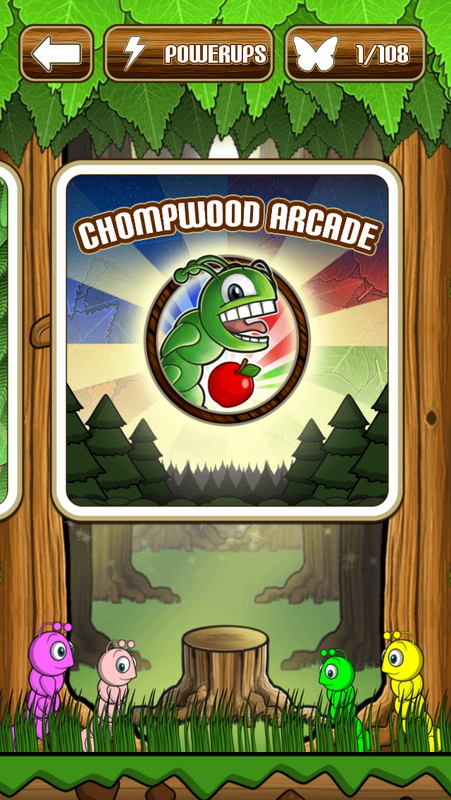 Challenging new Chompwood Arcade continuous-play mode! 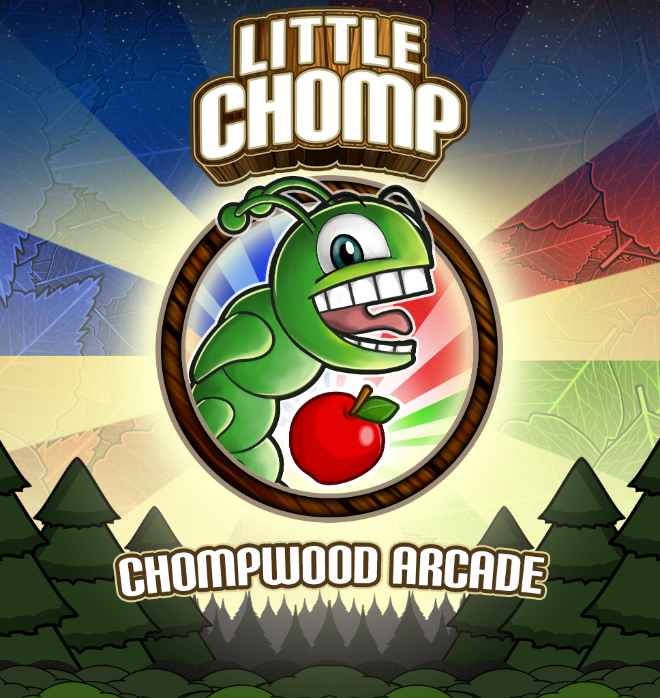 For experienced Little Chomp players, and anyone who loves a challenge, test your mettle in the brand new Chompwood Arcade! 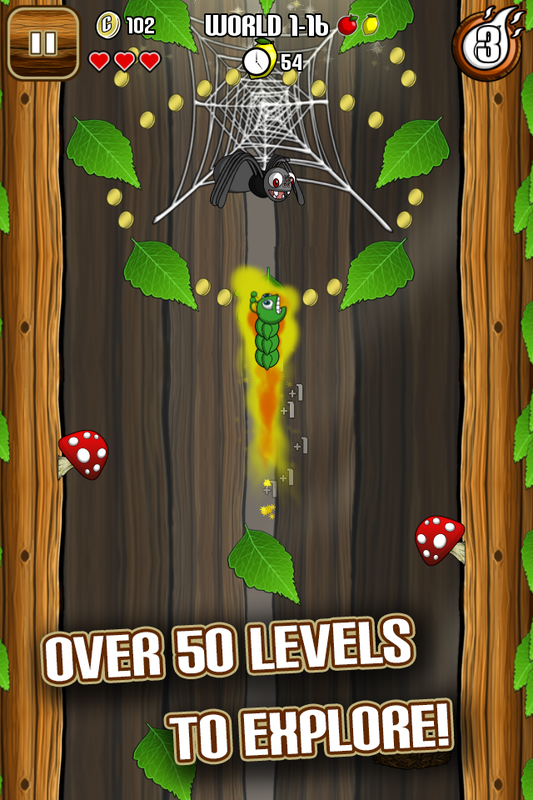 Climb your way up three new leaderboards in a challenging new continuous play mode! 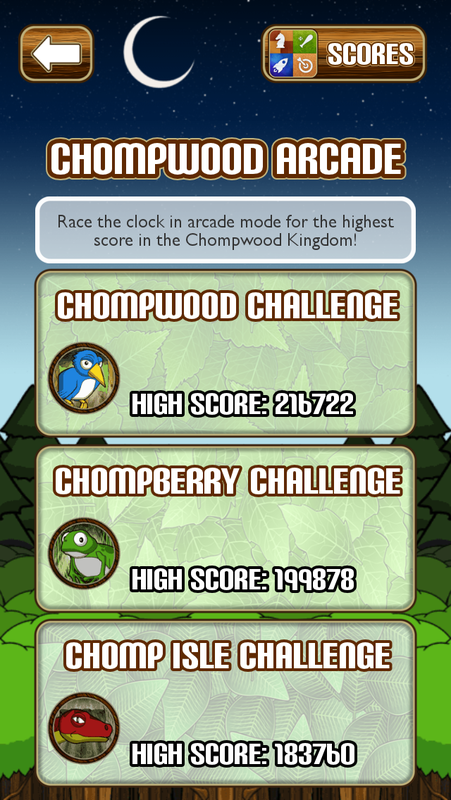 Race the clock and stay alive for the highest score in the Chompwood Kingdom! 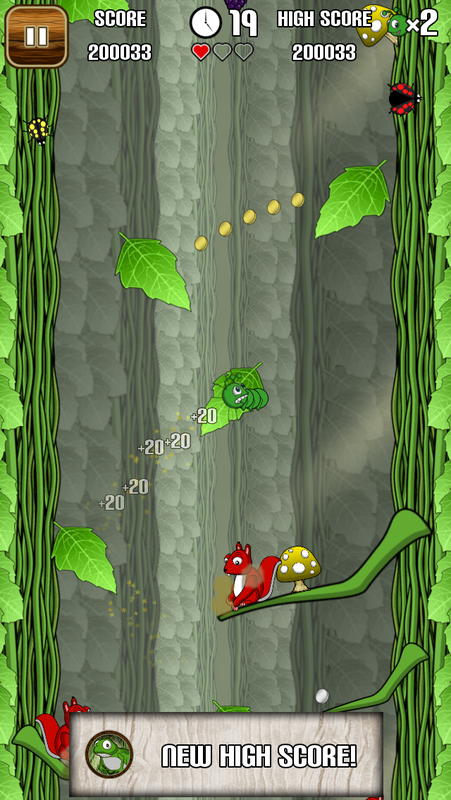 The ClutchPlay Games team are remnants of Stumptown Game Machine, formerly the Portland Studio of ngmoco. 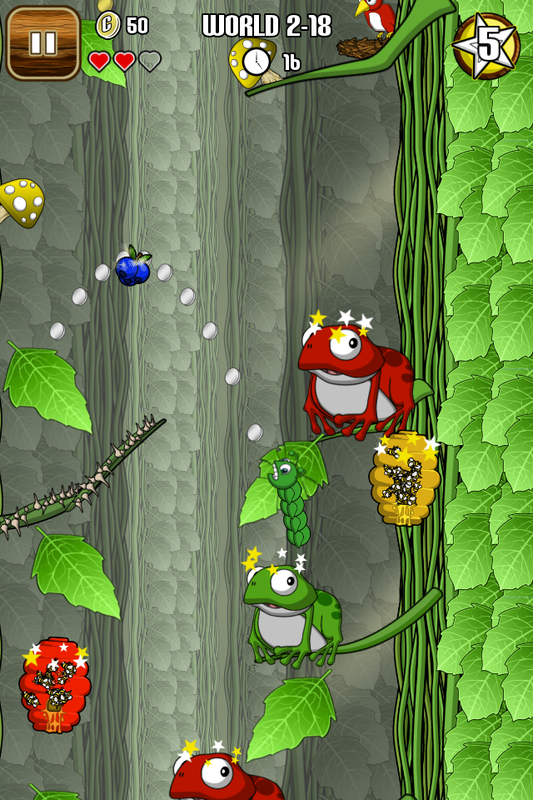 After their studio was closed, they were four unemployed game developers with the desire to rebuild their studio and make great original games. 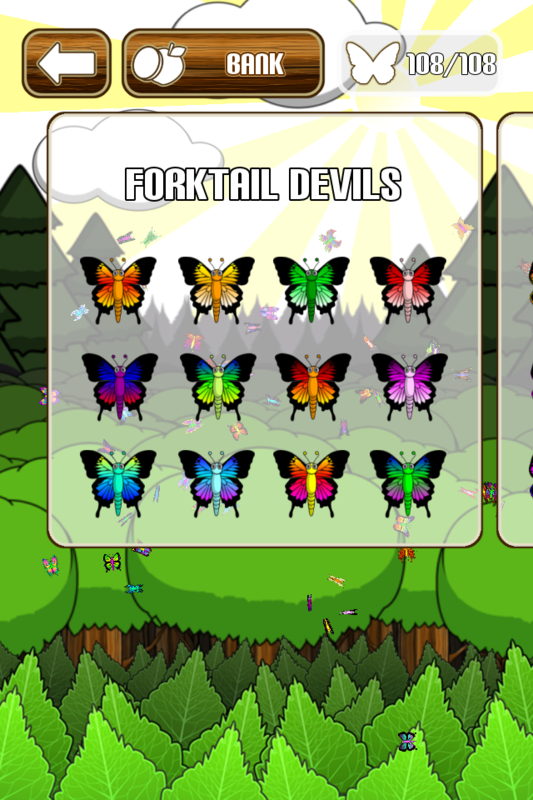 They didn't have VC, angel investors, or funding of any kind. 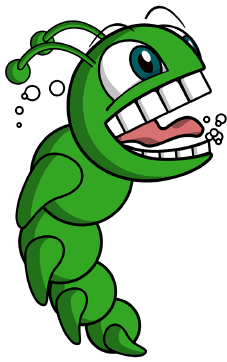 What they did have was an idea for a game that became Little Chomp, lots of experience, some savings, and the grit to make it happen. 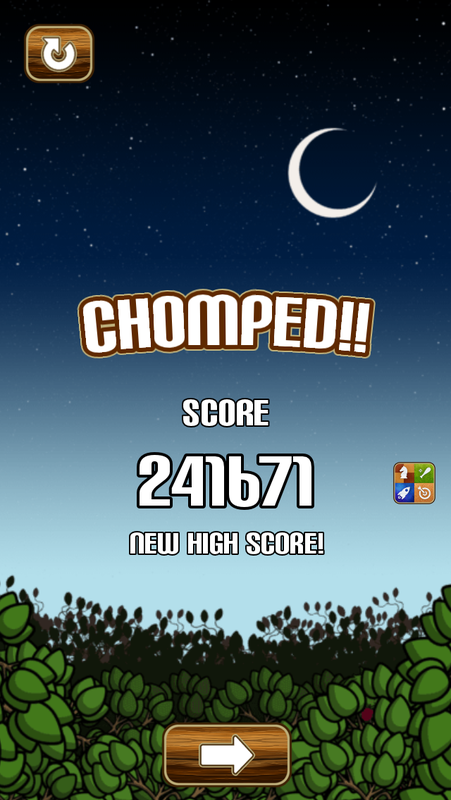 Within their first year of operation, they had developed a proprietary cross-platform game engine and launched Little Chomp on iOS and Android to great critical success. 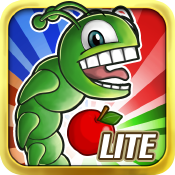 Prior to starting ClutchPlay Games, this team of industry veterans worked on a number of high profile mobile, console, and PC tiles including The Sims 2.0, The Sims Online, Mass Effect, Tiger Woods PGA Tour '02-'05, Zoo Tycoon 2, Brothers In Arms, We Rule, NBA 2K10, 2K11, 2K10 Draft Combine, Quests & Sorcery: Skyfall, and Touch Pets Dogs, Cats, and Dogs 2. For more information, contact Amy Dallas. The world names: Chompwood Forest, Chompberry Patch, Sweet Chomp Isle. 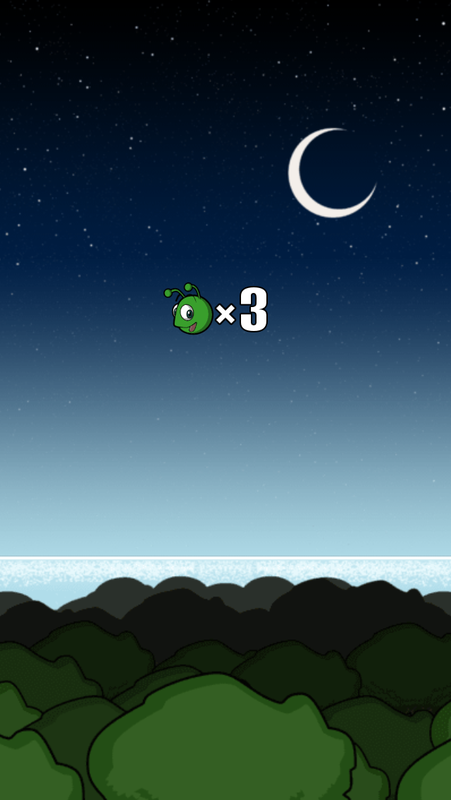 Number of different enemies: Sixteen. 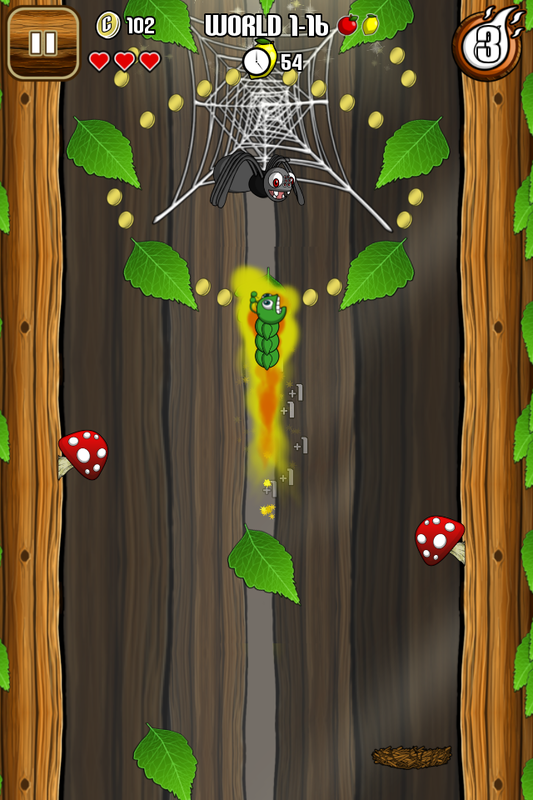 (8 regular enemies and 8 red enemies which cause double the damage.